At Physio-Life we have a dedicated sales team who support and help grow our business – our patients. 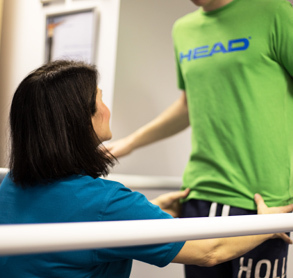 Every patient has a unique condition and inspiring story, but scratch the surface and you’ll ﬁnd a common thread: together with Physio-Life they have dedicated time, effort and determination in breaking down health barriers and now enjoy a much improved quality of life. Emilie attends for 1:1 hydrotherapy sessions. She attends with her full-time care Prisca. n her arms. It also helps with regulating Emilie’s bowel movements. The hydrotherapy facilities are very good at Physio-Life. The Physio-Life staff are very knowledgeable and friendly and communication about Emilie’s current needs is always thorough. The hydrotherapy session is our little adventure for the week and the change of scene is beneficial for us both and makes a positive difference to Emilie’s overall quality of life’. I have MS and have worked with several Physios over the last few years to try to slow down the progression of the condition, and remain as strong and independent as possible. 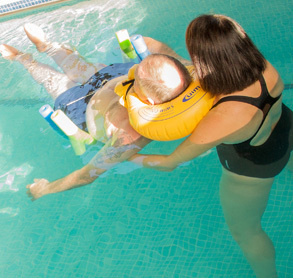 I am very pleased to now be doing hydrotherapy with Rachel at Physio Life, as I feel that I have now found a Physio who really understands my condition, and is very committed to helping me to fight it. Rachel is very professional, and clearly extremely experienced and highly competent in the treatment of neurological conditions. Rachel clearly cares about her clients - she listens, and is very supportive and encouraging throughout our sessions. I enjoy attending hydrotherapy with Rachel, and have no hesitation in recommending Physio-Life. I have been having weekly sessions with Rachel for over a year now and she has really improved my general mobility. During this time I had a hip replacement and sessions with Rachel have greatly assisted my recovery. In the pool I am able to gain more movement in my arms and legs which then carries over to my gym sessions and also impacts on my home life. I am able to walk with support in the water and with minimal help I can swim 2 lengths of the pool. The pool gives me the freedom to exercise my whole body and cardiovascular exercise at the same time’. "I had an intracerebral hemorrhage which affected my left side, this limited arm movement and spasticity, minor finger moment. It also left me with reduced flexibility in my left leg and a moderate drop foot. Hydrotherapy Treatment was suggested by Rachel when undergoing Physiotherapy at Physio-Life. It’s not until you remove the effects of gravity, and you can float weightless in a pool, that it becomes far easier to pin point the areas of muscle weakness and work on them. I have had 6 or more sessions now, and I quickly came to appreciate that exercises that I thought would be easier in the pool can be harder work in the water. This shows up more dramatically when trying to swim. It has highlighted the limitations in the range of movement in my arm, but at the same time it gives me more impetus to try and improve in the next session. I would very much recommend the hydro sessions. Especially with spasticity and muscle weakness. Its hard work, but Rachel and her colleagues make the hydrotherapy sessions enjoyable and encourage you to push your limits. This should not to be treated as a relaxation pool; you will be worked but will feel a whole lot better for it both physically and mentally." "After just one session you have cured me. I feel wonderful – it's a miracle!" "I had been dizzy for months and couldn’t get to the bottom of why. Dr Gibbs at Pinehill Hospital recommended that I see Physio-Life for treatment. After two sessions of vestibular manoeuvres with Rachel, the dizziness and light-headed feelings have gone. I was confident that Rachel was an expert in her field. She very quickly responded to my consultant’s referral, diagnosed the problem and treated me promptly. I would highly recommend Physio-Life to anybody suffering from BPPV." " I cannot thank Rachel and the team at Physio-Life enough for the help and support I have received throughout my treatment for Mal de Debarquement Syndrome (MdDS). From the start she was understanding, diligent and committed to help me with my recovery. My syndrome is rare and Rachel diagnosed me before my doctor, which was a huge help in getting the correct treatment and referrals to other specialists. Rachel was happy to communicate with other specialists so that they could benefit from the results of assessments and tests she had already done. Rachel developed a vestibular rehabilitation treatment plan for me and monitored my progress carefully, adjusting the exercise regime when necessary as I continued to improve or have setbacks. 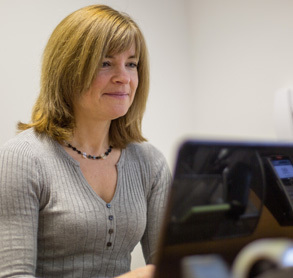 She went above and beyond the call of duty in order to contact other specialists in the UK and USA. She undertook research in order to develop her understanding of my condition and how best to help me. Most importantly, at every appointment I felt supported and hugely encouraged by Rachel. This has been a long, hard journey and one which has left me feeling quite alone at times so the help I received at Physio-Life was invaluable to me. I have looked forward to my appointments knowing that I would be listened to and advised with genuine care and consideration at every step. Thank you Rachel and everyone at Physio-Life." "The Buteyko Breathing Technique is so effective and I can honestly say that for me it's been life-changing. The results were amazing and have really got me on a good footing. 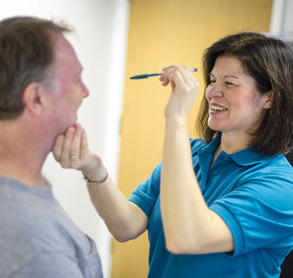 Rachel has got the whole package – she's an extremely experienced respiratory physiotherapist and is a lovely person to work with. I found her to be empathetic and supportive, and I also appreciated what a clear and straightforward person she is." Read Emma's full case study to find out more about her treatment and results. "Rachel is very caring and reassuring – she’s a real people person and instantly puts me at ease. The huge benefit for me in working with Physio-Life is the fact that I am visited in my own home. I would find it extremely difficult to get to a clinic, so to have this service and get to stay in the comfort of my home is just wonderful." Read Heather’s full case study to find out more about her treatment and results. 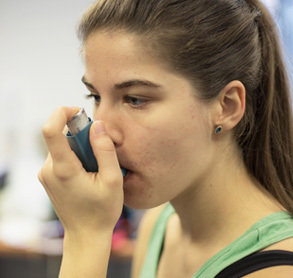 "Your breathing techniques made a huge difference to my cough problem which I’d had for years – thank you!" "The care has been outstanding. I have felt very at ease with the healthcare providers and received exceptional standards of help and support. Top marks to Rachel Canning and all those that work in rehab." "My son, family and friends all say what a difference there has been in me since my very first session with Physio-Life for my breathing. I didn’t want to leave the house. Your time, patience and advice have meant I have a much better quality of life; it’s also given me the confidence to go to the gym to improve my fitness. Thanks a million Rachel."